We already know that we can run android apps on our computers. Using Android emulators, we can play Android games on our Windows, OS X, Linux machine. The best known android emulator is Bluestacks, but not the best one. There are alternatives to your known Bluestacks. So what if we don't want to install any kind of software on our computer but still we really need to run android apps. 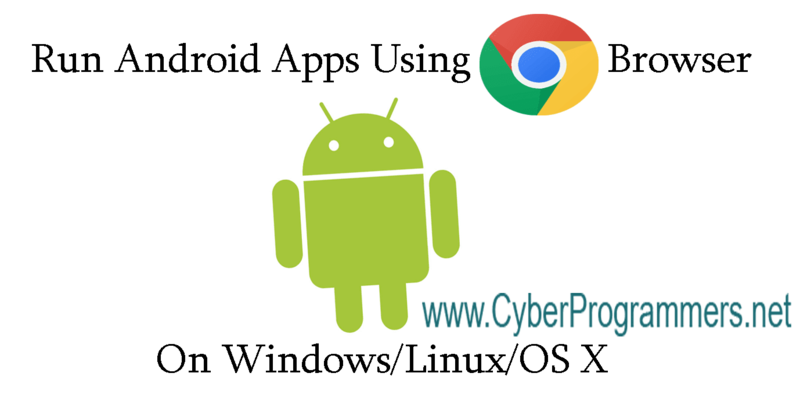 You are lucky because there is a way to run Android apps suing their apk files on Chrome browser. 1) First of all, make sure you have installed the latest version of Chrome, update it or if you have a problem with updating then open Chrome official page and download the latest version to reinstall it. And of course, you need to have an internet connection. 2) You need to have an apk file of the app, you can read this post on how to download apk files directly from Google Play. 3) But you need a modified version of apk files. To do that simply add this extension to your Chrome browser. Now go to chrome://apps/ and open up twerk. Now drag and drop the apk file to twerk app, next you need to set up some settings and hit on the pink android icon. Then you need to choose a directory where you want to save the modified apk files, create a new folder and save files. 4) You need to download a runtime, select the appropriate one for your system from the list given below. 5) Now when the download is finished you need to unzip it. 6) On Chrome navigate to Settings -> More Tools -> Extensions. Make sure you have checked "Developer mode" and press on the "Load unpacked extension..." button, navigate to that folder you have unzipped files in the previous step and select it. 7) You can see a new extension named "ARChon Custom Runtime", make sure it is enabled. 8) In step three we have modified apk file with twerk extension, which creates a folder of our modified app. Now again we need to press the "Load unpacked extension..." button on Chrome and select the modified app folder. 9) Now it will add our android app to Chrome, you can see it in Chrome extensions list. Simply press on "Launch" link under the name of the app. And it will launch the app. If you have done all right then it will run the app. If you got some error messages or you can't make it work, leave your question in the comment section below. Also, read the ARChon guide maybe you find your problem solution.